This home currently under construction provides 2,225 sqft. With form and function in mind, amenities include quartz counter tops in the kitchen and bathrooms and LVP flooring in the entry, kitchen, nook, bathrooms, hallways and laundry. The towering 10ft ceilings throughout the home and vaulted ceiling in the great room & option room provide openess. The carpet and ceiling fans add comfort to all bedrooms, the great room & option room. 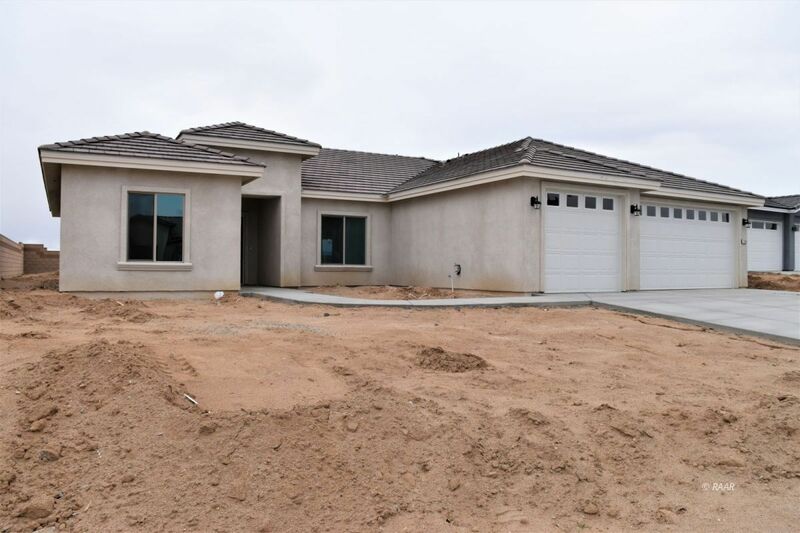 The split floor plan provides privacy with a master suite featuring a double vanity, 5 ft soaking tub and 5 ft tiled shower, walk-in and privacy closets. The front option room has potential as 4th bedroom, partially open den/office or 2nd dining area. There is an indoor laundry room. 3 car garage has automatic openers for the 8 ft roll-up doors. R-38 insulation in the conditioned attic and R-19 in the 2 x 6 walls. 96% hi-efficiency forced air heater. Ground mounted AC unit Seer 14. Natural gas tankless water heater. E-low windows and LED lighting. Ceiling fire suppression system. Fully trussed covered patio helps to keep it cool. Block wall with metal side gate. HBW 2-10 home warranty. Kitchen layout differs from diagram with a corner pantry.